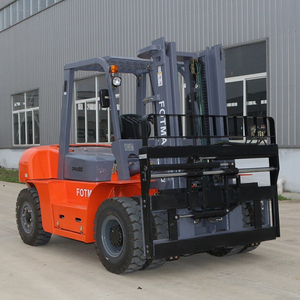 1.Green power. 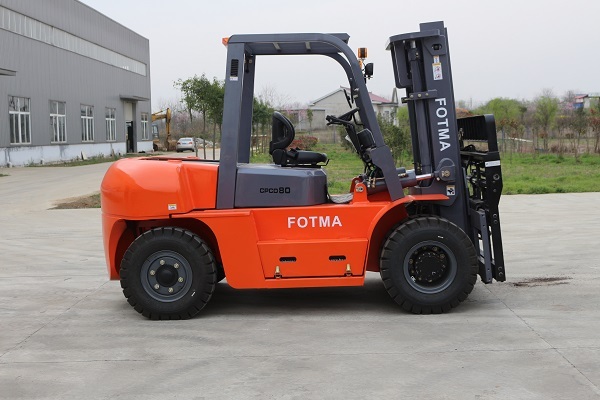 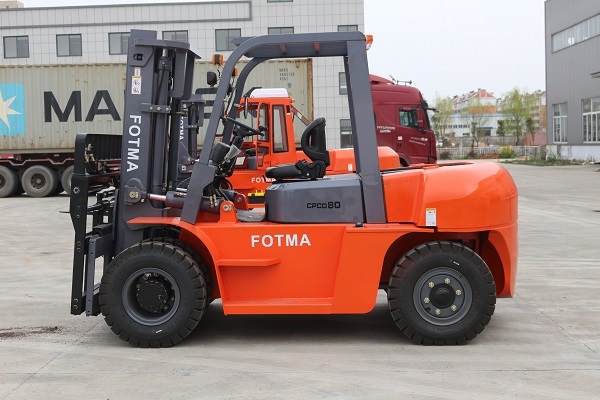 Our 8tons diesel forklift with the domestic environment-friendly engine are in line with GB20891-2007 "non-road mobile machinery with diesel emissions limits and methods of measurement (I,II stage) standard emission limit requirements.Chinese famous engine Chao chai 6102BG. 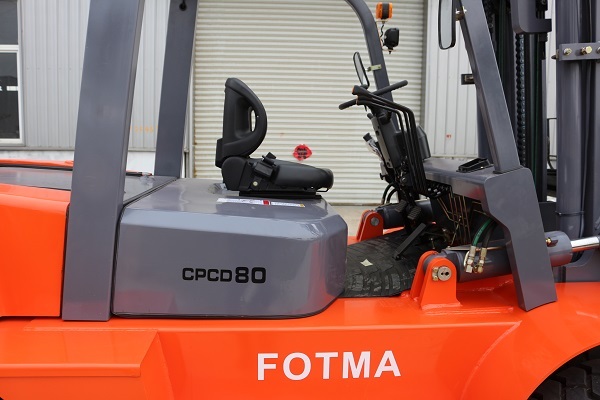 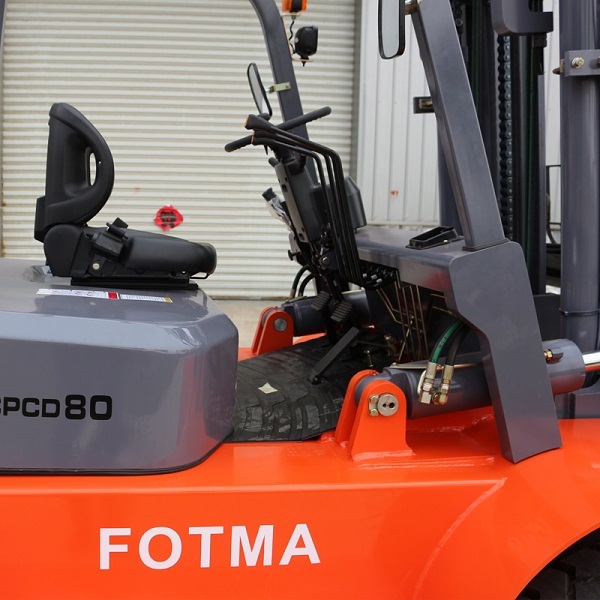 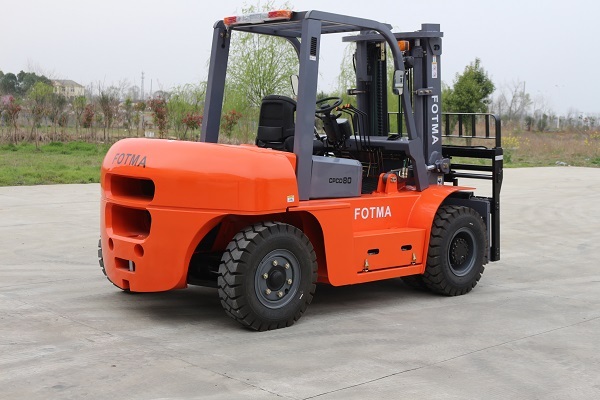 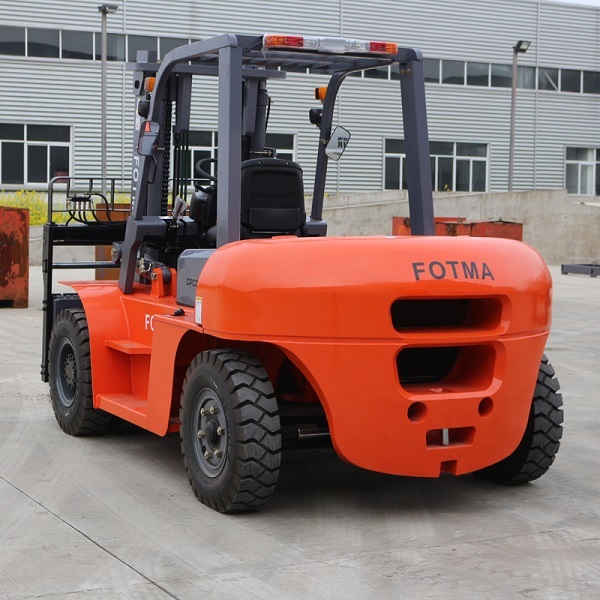 2.The strong performance is greatly enhanced traction, climbing force and lifting speed, and improve the work efficiency of the forklift. 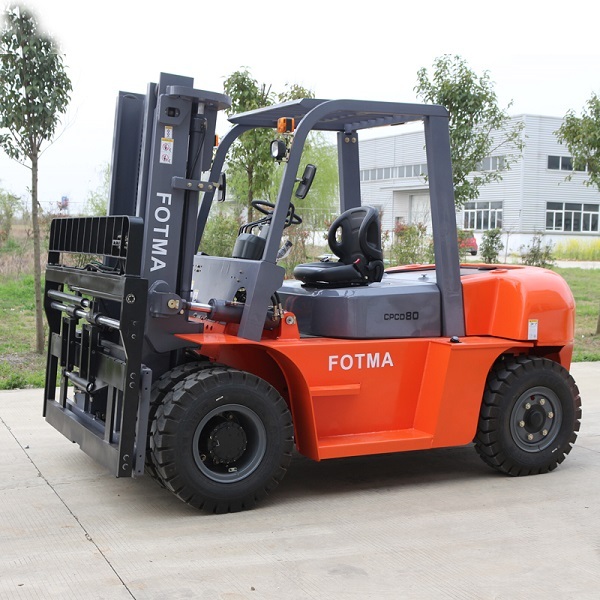 4.Scientific ergonomic design, vehicle handling lighter, more comfortable seats front and rear direction and angle adjustable backrest, steering wheel tilt, leg room, compact and convenient shift mechanism shift quickly and easy operation performance. 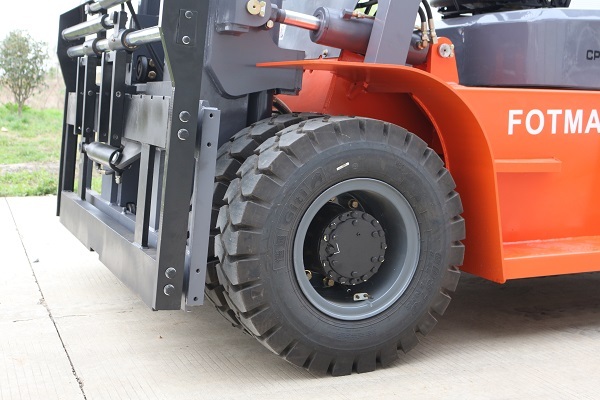 5.Low noise, low vibration and exhaust system flexible coupling bellows achieve frame, to reduce the vibration of the vehicle. 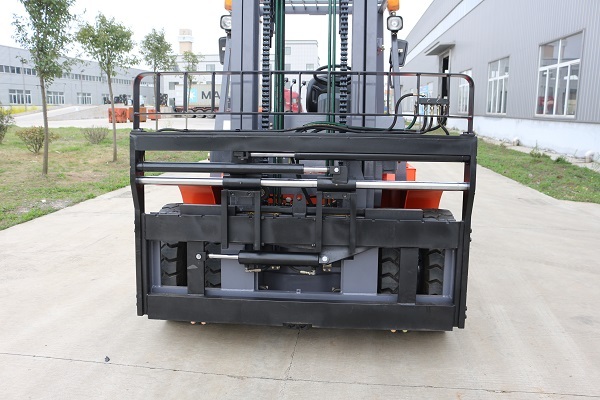 Improve the internal structure of the muffler, increasing the interference of the interior of the cylinder to reduce engine noise. 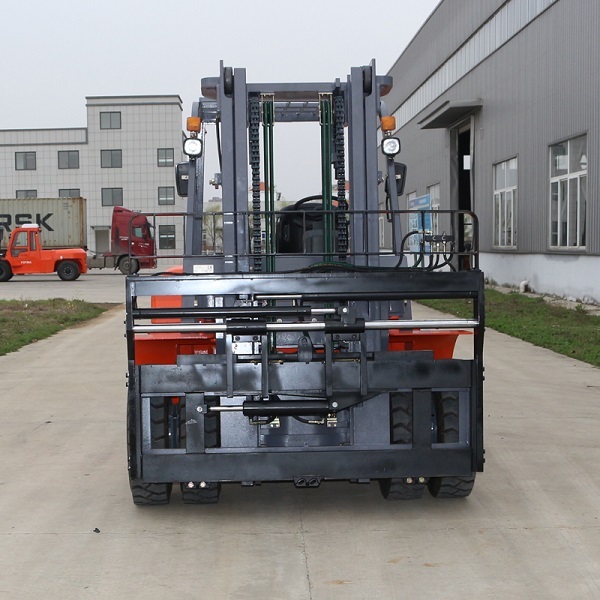 6.Lift cylinder lifting system lifting system from lower buffer, effectively reducing the impact; separation of the two lifting cylinders and two lifting chain configuration, good forward visibility work mobile or pavement driving more secure. 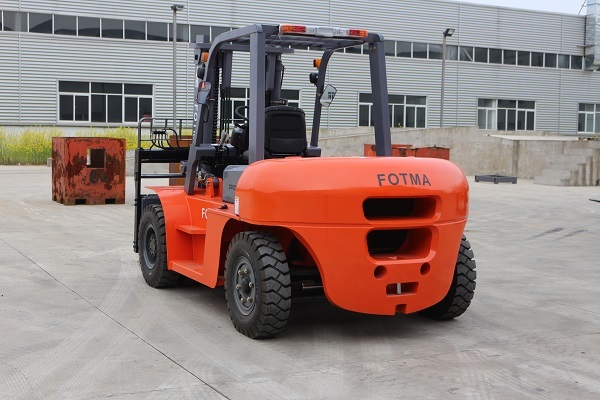 7.Engine cover is easy to open the engine cover equipped with air spring device, opening and closing simple labor-saving, easy to carry out regular inspection and maintenance of the engine room. 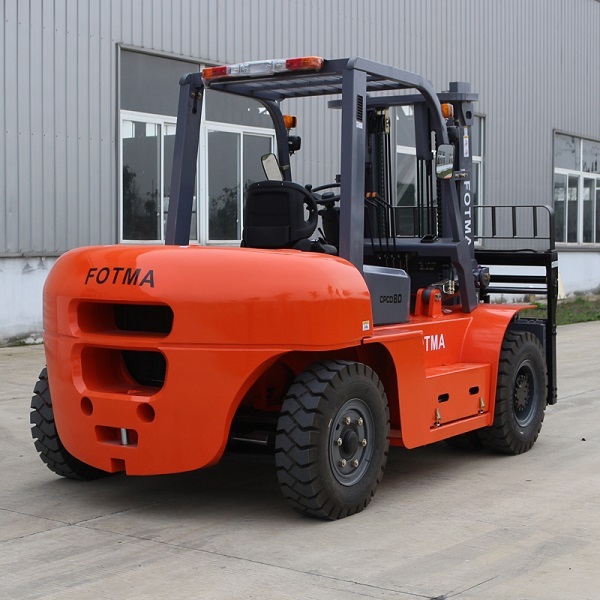 8.Our transmission is with Shao xing gear, it is widely use for Chinese brand forklift trucks, and with good performance. 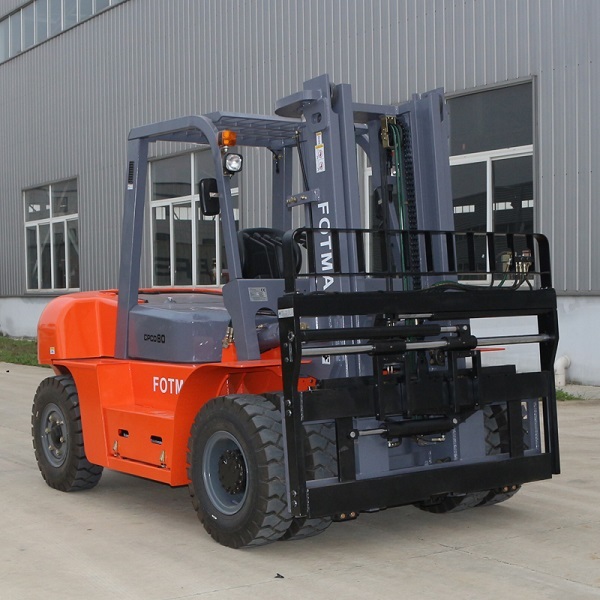 One year warranty to our customers.